We’ve heard you all loud and clear! We share the same sentiment when it comes to wanting to play the latest updates. Unfortunately, these things take quite a bit of time to get it just right and we want to be absolutely certain that they are just right before we push the updates out too all servers. As of right now Forge 1.13 hasn’t been released in any capacity. If you want to keep an eye on updates about that you can check their forums here. Spigot/Craftbukkit/Bungeecord/Bukkit are currently in development and do have development builds available. However, they are not recommended at this time and are not deemed safe for existing worlds as well as many bugs and issues with plugins. You can view updates and further information here. We want to make sure that everyone has a fun experience and we want to make sure that we release something stable that doesn’t cause world loss, broken plugins or broken servers. As soon as we have thoroughly tested recommended builds we will push updates out to every server. Once we have released any updates we will make sure to send out a email to everyone as well as make posts on Twitter, Facebook, etc. 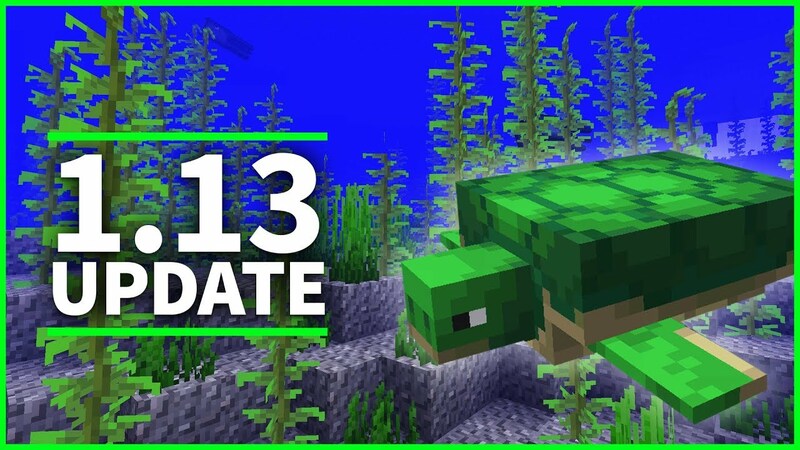 Thank you all for your patience and we hope you are enjoying the 1.13 updates as much as we are!